There’s no question: Networking helps increase your social connections. It’s also a great way to find a new job or identify your next employee. Just ask Bob Roehl. Several hundred professionals have participated in the Idaho Department of Labor’s Professional Networking Group meetings since they were first established in 2009. And if you are a professional looking to strengthen your job search skills, find a new career or wish to talk with an employer wanting to identify future employees, you should plan to attend the next session in your area. 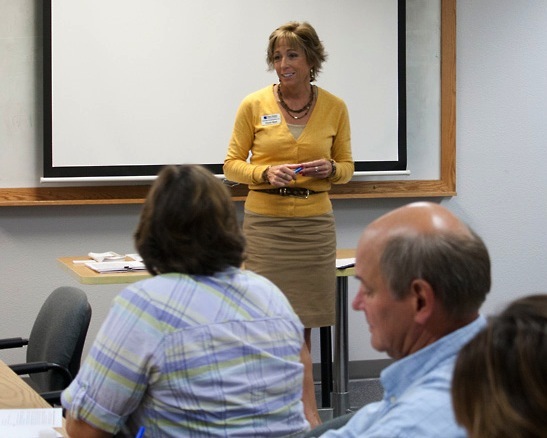 Tracey Stone, recruitment director for Sage Wealth Management LLC, was the guest speaker at a recent Professional Networking Group meeting in our Boise local office. The department’s professional networking groups exist because they work and have proven their ability to enhance a professional’s job search. Meeting topics are diverse and informative. From mock interview panels to teamwork challenges, participants are challenged to learn new job search strategies and networking techniques as a way of helping them land their next job. Employers who present at the professional networking meetings inform members about their organization’s culture, career opportunities and hiring practices. Since the group’s members possess advanced skills in various industries, many employers find it beneficial to volunteer as a presenter when trying to identify future employees. The size of the groups make it easy to network and get to know everyone. Attendance can vary from 10-30 job seekers each meeting. This entry was posted in Employers, Job Seekers and tagged Boise, employers, idaho department of labor, job seekers, Meridian, Professional Networking Groups on October 28, 2013 by Idaho Department of Labor.